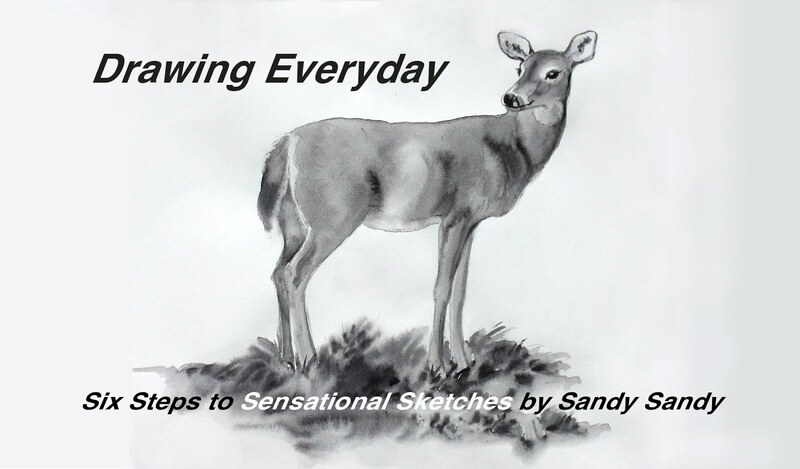 Last week I was contacted by Ralph Serpe; artist, writer, musician and webmaster, about having my "Sensational Sketches In Six Simple Steps" featured on his blog. He writes; "I own and maintain a very popular blog on Art Instruction. 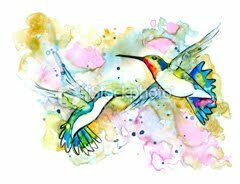 My site receives over 20,000 unique visitors each month, and I have a subscriber base of nearly 9,000 artists, all hungry for fresh new content." I checked it out and saw it was of very high caliber. Of course I said YES! Please visit: www.artinstructionblog.com and check it out! 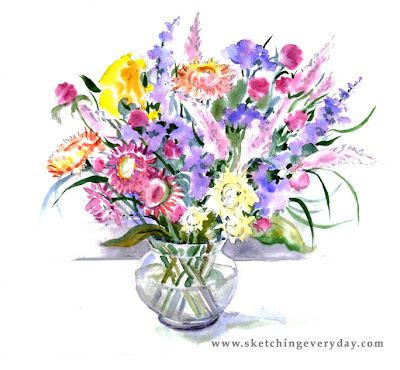 I did this sketch today from the wildflower bouquet Jerry got for me on Sunday. The stand was closed, but when Jerry told the lady, Mrs. Knight, who I was, she remembered me from a hummingbird presentation I did at her garden club. When he told her I was painting them, she marched out into the garden and cut these for me. I wanted to sketch them again to go with my special announcement today. Like summer, I guess I don't want to let go of my "SketchingEveryday" just yet.